I cannot express my love for Dorothy Perkins clothes in words. 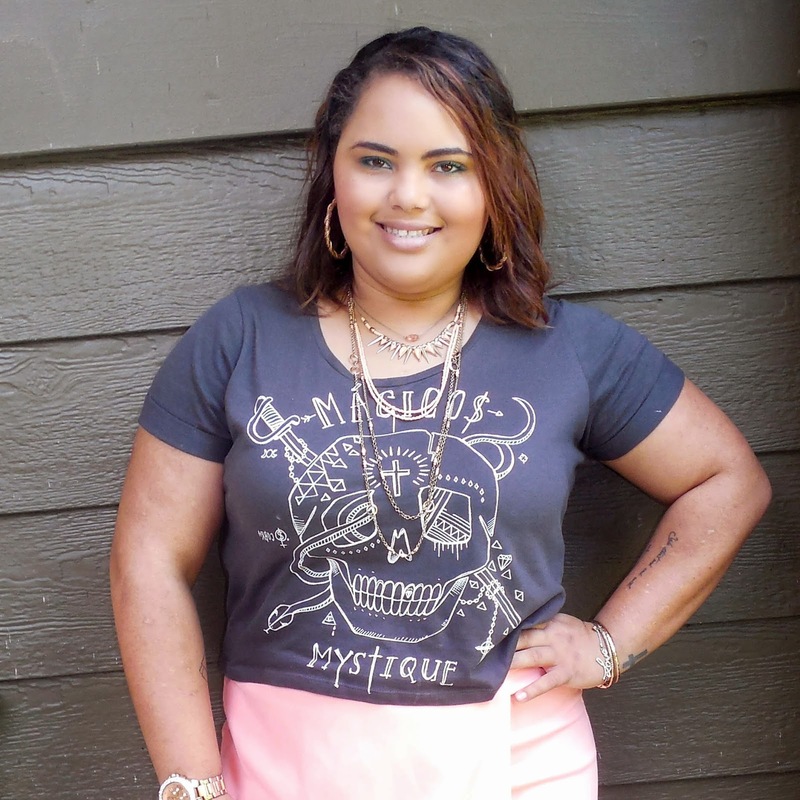 They have so many stylish things and come in such a variety of sizes that even fit a plus size girl like me. I love that they do not have a plus size line but instead just offer a plethora of sizes in each item. Today I wore my asymmetrical wrap skirt from DP. I love this skirt so much that even when I originally bought it in the wrong size, I ordered another in the correct size and now just have two. 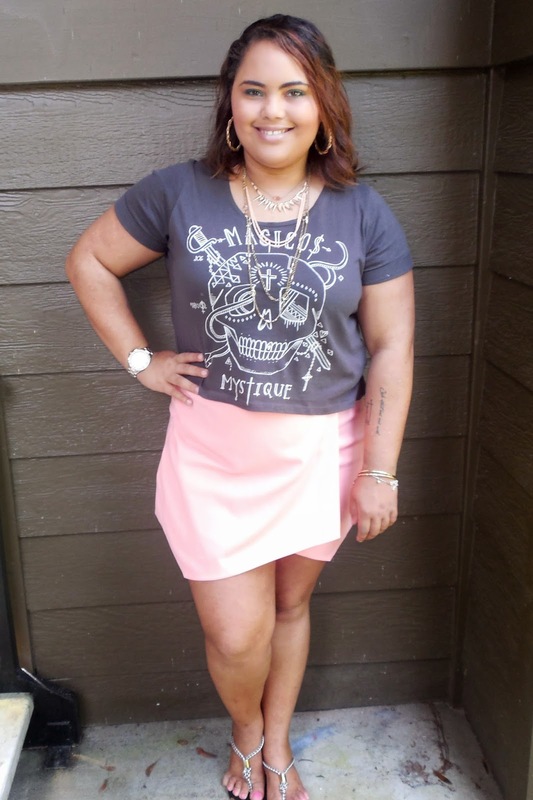 I wore this skirt with one of my favorite cropped tees from Cotton On and then layered on the jewelry for an edgier look. Hey my name is Ashley. I currently reside in Jacksonville, Fl. A place where fashion tends to be a little basic. But I love to live outside that stigma for my city. I'm all about wearing fun bold outfits that hopefully will empower women of all sizes to embrace themselves and do the same.